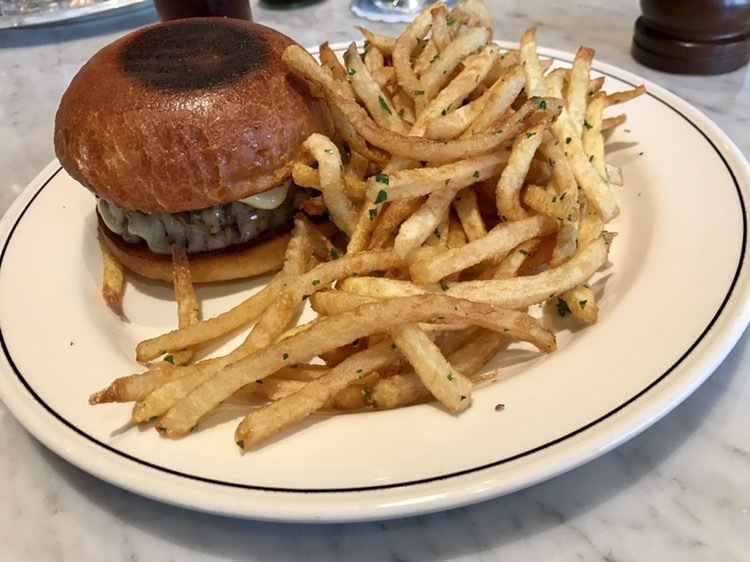 I had been intending on trying Bread & Butterfly for quite a while – ever since they popped onto my radar with Atlanta magazine’s best restaurants of 2016 early last year, in fact. A European-style bistro and cafe, it is from chef Billy Allin (of Cakes & Ale), and located in the fairly new Inman Quarter development. They’ve got a great sidewalk cafe feel, there on Elizabeth Street. I arrived, near the end of Sunday service (they close at 3:00), and took a seat at the bar, by the door. The brunch menu is concise (fifteen total items, including three sides and a special). 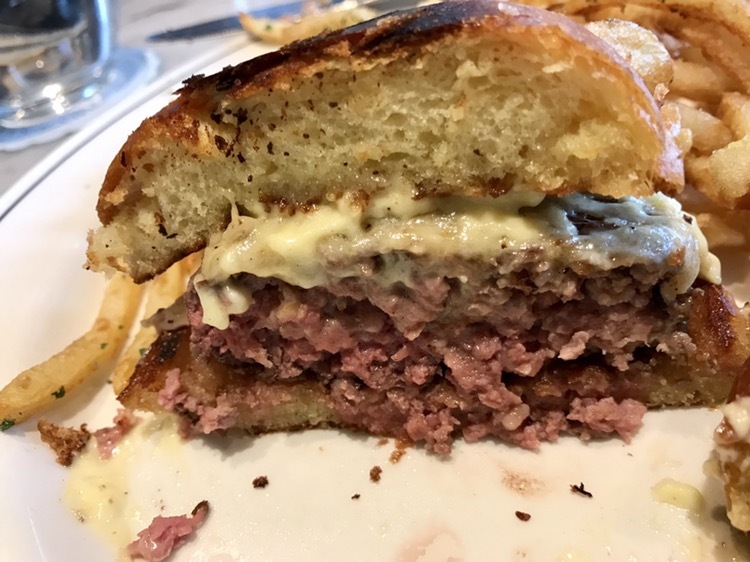 I considered the omelette of the day (chèvre plus chopped herbs, when I asked), but ended up with the American burger, which is what had brought me there. Look at the cook on that burger – perfection. The fries were hot and shoe-string style and, had they have been crisper, would have been nearly the perfect fry. We’ll have to go back for dinner – maybe the Wednesday night steak frites.